1. Click the "EAM Reports" to start the settings. 2. Click the "Word summary" drop-down to set the specific time and number. 3. 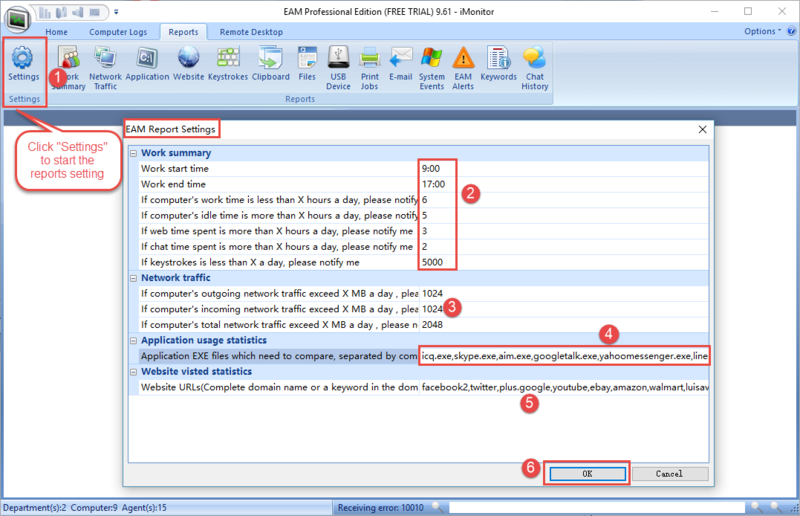 Click the "Network Traffic" drop-down to set the maximum database size. 4. Input specific application file name. 5. Input the specific website as complete domain name or a keyword in the domain. 6. Click "OK" to deploy the settings.